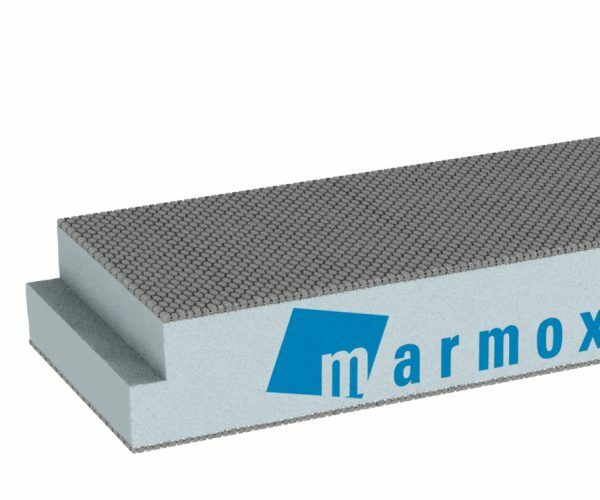 Marmox Thermoblock is a high insulating, load bearing, XPS building block designed to replace the course of brick at the bottom of a wall. At this point they practically eliminate thermal bridge and help to retain significant heat within the building structure. 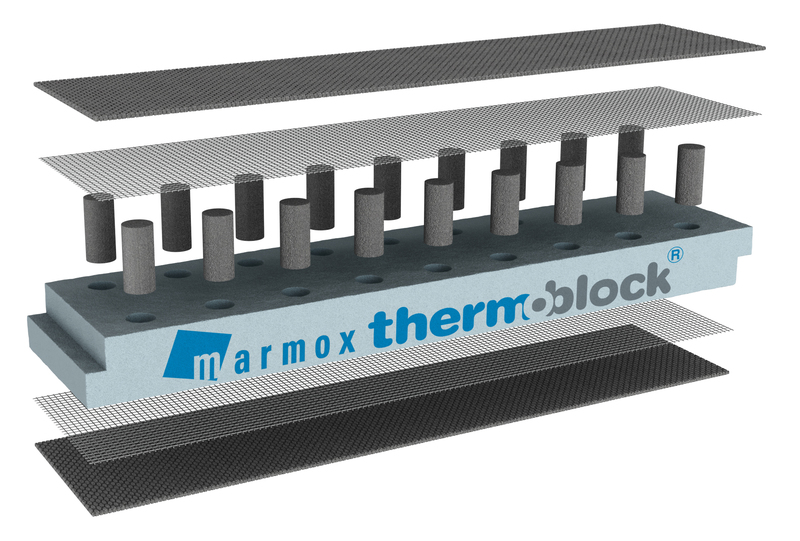 Thermoblocks are lightweight yet extremely strong. 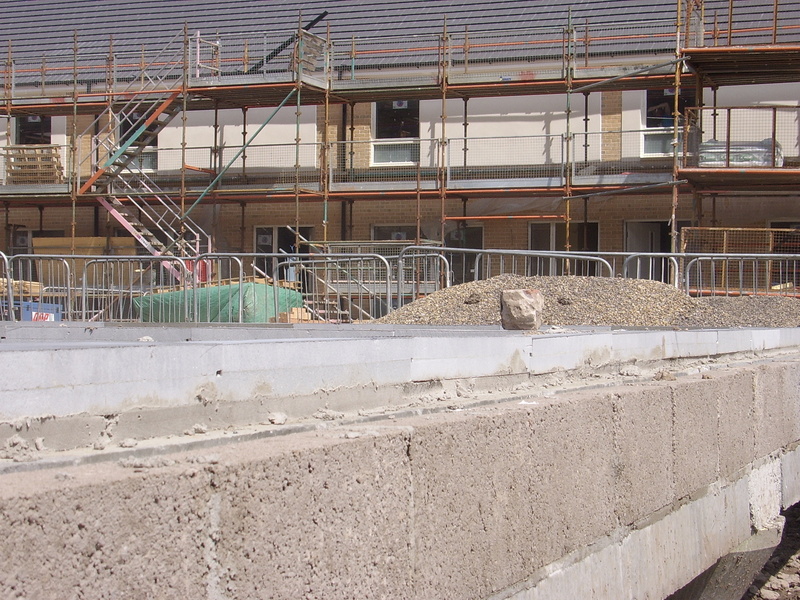 They can support a construction of at least two storeys making them unique because there is no other insulated block on the market that has such strength. 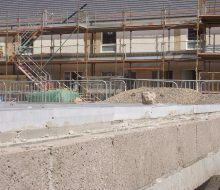 The standard thickness is 65mm, so it is the equivalent to the height of a standard brick. 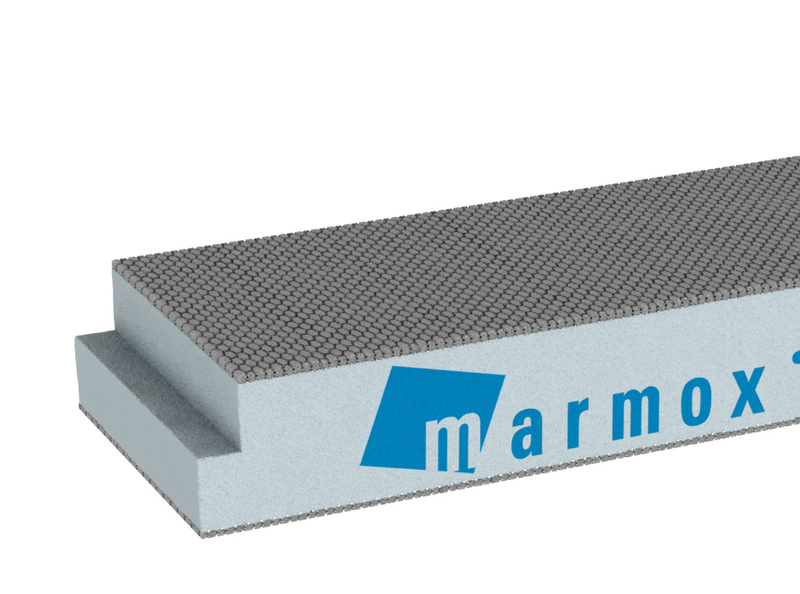 two widths are available 100mm and 140mm. 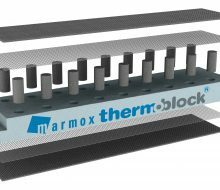 Thermoblocks comprise of a high insulating core of XPS and load bearing columns. 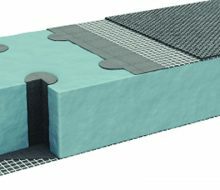 They are then covered top and bottom with a layer of fibreglass mesh embedded in a microfiber reinforced polymer concrete. F3 (Co2 Emissions) of Northern Ireland.